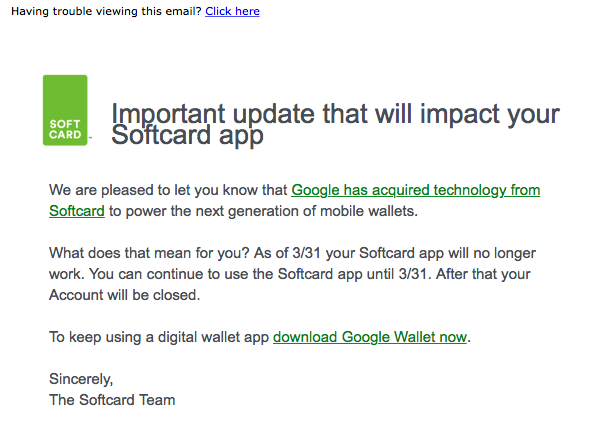 Softcard, the failure of a mobile payment system created by Verizon, AT&T, and T-Mobile, that tried its hardest to kill Google Wallet for years only to be acquired last month by Google in the most hilarious turn of events, is officially shutting down on March 31. According to emails being sent out to the four Softcard users in existence, the Softcard app will no longer work come March 31 and accounts will then be closed shortly after. 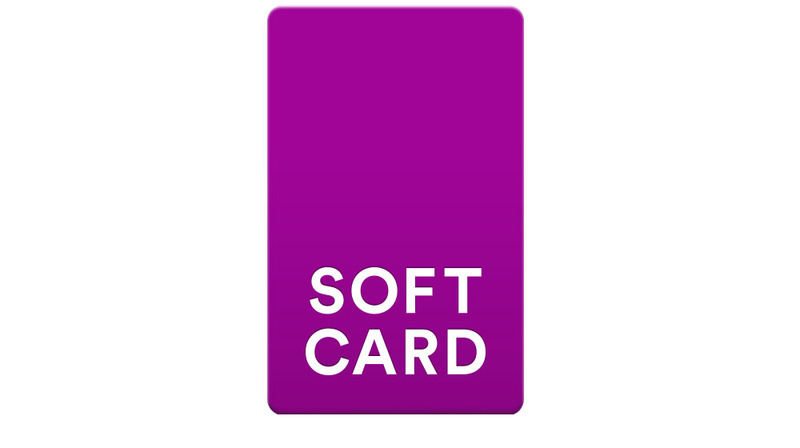 We have also heard from sources that the Softcard app will be pulled from Google Play by March 16 and that sign-ups for the service have already stopped. With Google acquiring some of the tech behind Softcard and the service preparing for the end, now is the time to go ahead and download Google Wallet. Trust me, your mobile payment life will be much better by making the switch.